We write for a beer review website so needless to say we can get pretty intense about our beer. This beer takes beer snobby to another level. I am personally a fan of Belgium beers. This beer is absolutely amazing with its complex malt profile and will not leave you wanting should you enjoy truly good beer. The funny part about this is that you should be prepared to go full beer snob to get this beer. 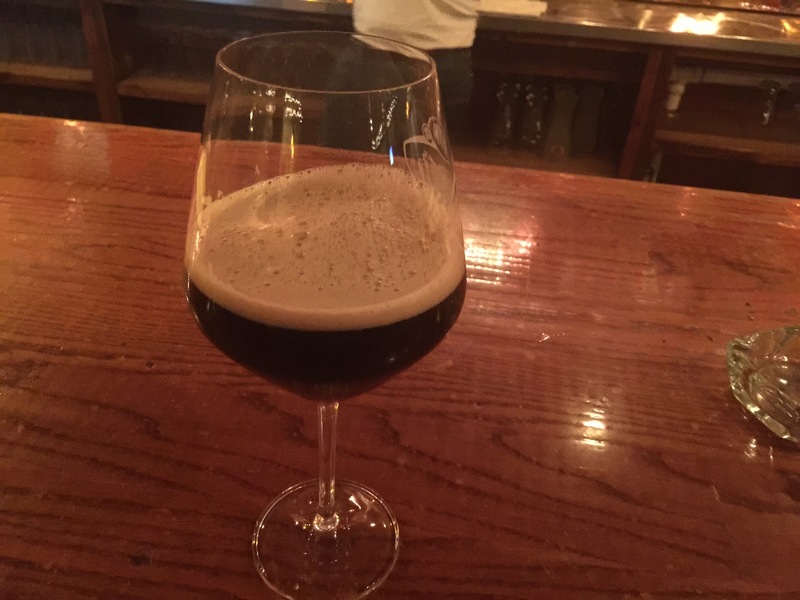 Kasteel cuvee de chateau comes from the draft in what looks like a wine glass. This glass helps to channel the aromatic effect that the beer has (which is heavenly). None the less, when you are walking around a craft beer bar (in this case The Gingerman) with beer in a wine glass your double meter is at full capacity. The good thing is you take one sip of Kasteel cuvee de chateau and you couldn’t care less. The profile of the beer is so complex that it goes well beyond any IPA profile and tops the best beers in the Belgium category. While Delirium is quite tasty, Kasteel cuvee de chateau blows it out of the water. When smelling the beer you get hints of fig and other sweet fruits which take you back to a younger year in your life. The dark quad is remarkably smooth and light for its color while still retaining a creamy chocolate finish. This amazing beer is well worth a try. Do yourself a favor and look past the price tag and level of beer snob it’s delivered in and appreciate the pure greatness of this brew.